An exciting opportunity has arisen for two well-qualified, talented and enthusiastic Primary School Teachers to join our highly successful School from September 2019 on a full time, permanent contract. We are seeking two enthusiastic and experienced Primary School Teachers with KS2 experience. 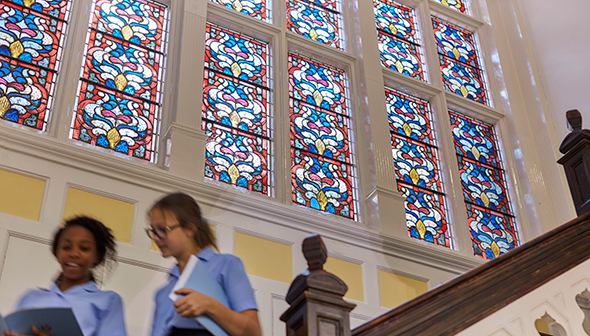 Our school offers a nurturing yet academically challenging environment for our pupils, of which the successful candidate will be expected to foster. Our school works closely in partnership with parents and offers a range of additional exciting learning opportunities rarely found on a Preparatory School Curriculum. Babington House is a forward-thinking school, striving to continually improve our education and environment for our students and staff. We are looking for a teacher with positivity and drive who is able to provide bespoke and personalised learning for our pupils, working alongside all staff. The post would suit a newly qualified teacher, or a teacher with experience looking for a new setting. For further details about this post please email vnelson@babingtonhouse.com Please note that CVs are not accepted unless accompanied by an Application Form. To apply for this post please email your completed application form to vnelson@babingtonhouse.com by 9.00 am on Thursday 25th April 2019. Interviews are planned to take place shortly after. An exciting opportunity has arisen for a well-qualified, talented and enthusiastic teacher of English to join our highly successful department from September 2019 on a full time, permanent contract. You will be joining an outstanding English department with a 96% grade 4-9 at GCSE and 100% A-C at A Level (2018). We are looking for a motivated individual, with absolute commitment to raising standards of achievement for our students. You will also need to have excellent communication skills and the ability to develop strong working relationships within the English team and the school as a whole. The successful candidate will be an excellent classroom practitioner who is able to teach English to pupils across Years 7-13. The ability to teach English Literature at A Level would be an advantage, as would the ability to teach a second subject. The new Teacher of English will be expected to bring a dynamic and creative teaching style to the department and contribute to the department’s co-curricular offering. The post would suit a newly qualified teacher, or a teacher with experience looking for a new setting. To apply for this post please email your completed application form to vnelson@babingtonhouse.com by 9.00 am on Monday 29th April 2019. Interviews are planned to take place shortly after. If a suitable applicant is found prior to the application deadline an appointment will be made. References will be obtained prior to interview. Babington House is committed to safeguarding children and all applicants will be expected to undergo an enhanced DBS check.